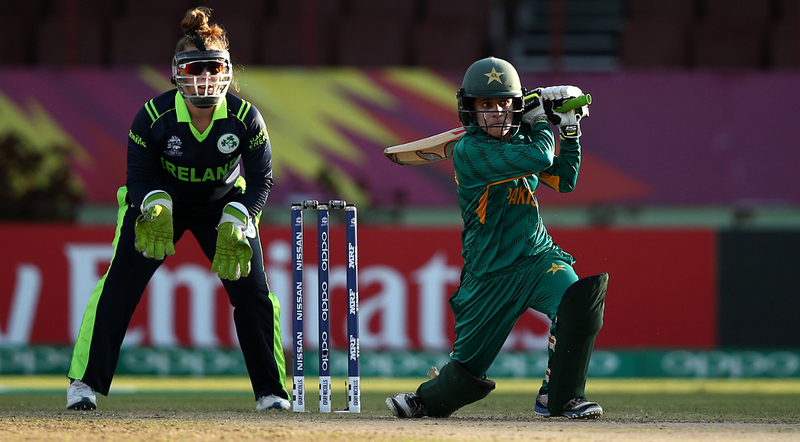 Javeria Khan exhibited her class with a career-best 74 as Pakistan defeated Ireland by 38 runs in the 2018 Women’s World T20. The captain’s knock helped the team to post a strong 139 for 6 before an all-round bowling effort turned the chase into a no-show. After losing the toss Ireland were in the contest for eight overs. Clare Shillington got Ireland’s chase off to a quick start with 27 from 25 balls but they failed to score infront of Pakistan’s spinners and collapsed on 101-9. Sana Mir, Aiman Anwer and Aliya Riaz bagged two wickets each as well as Ireland’s innings petered out in a tame finish. Javeria expressing her joy after the match said, “A good win, but we still need to improve our performance, we can be better in the first six overs. We can’t afford mistakes anymore,” she said. The 30-year-old awarded with the best player of the match title for her remarkable inning. Ireland is the lowest-ranked team in the tournament while Pakistan after suffering two defeats from India and Australia are the next lowest in Group B.